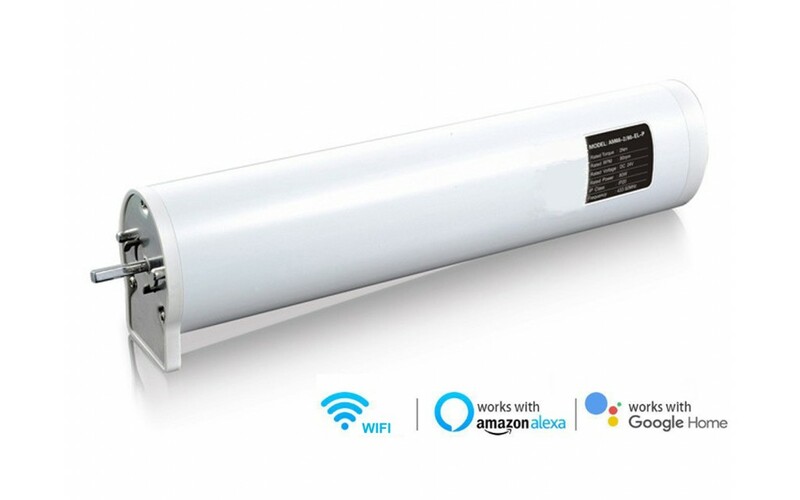 No electrician required to install! 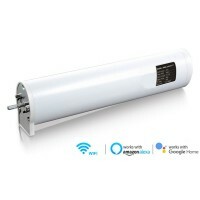 Supplied with a 110V - 240V mains motor fitted with a 2.5 meter long fused UK plug. 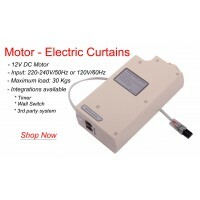 This 4-meter (157") electric curtain tracks can cover windows up to 4 meters wide. 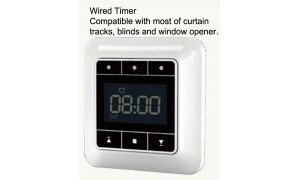 With easy installation, you can automatically control your curtains by remote control, timer, wall switch or your mobile. 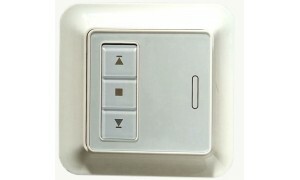 It brings you with modern home automation and is good for everybody to use (especially for those disabled persons). 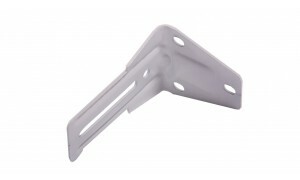 PREMIUM QUALITY CURTAIN TRACK SPECIFICALLY DESIGNED FOR YOU! 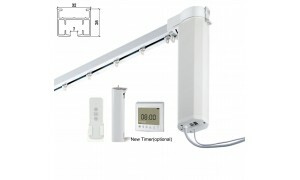 The Automation curtain track system can be quickly and easily installed. 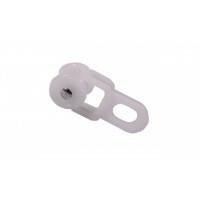 From there you can open or close them from your smartphone, tablet, or remote control. 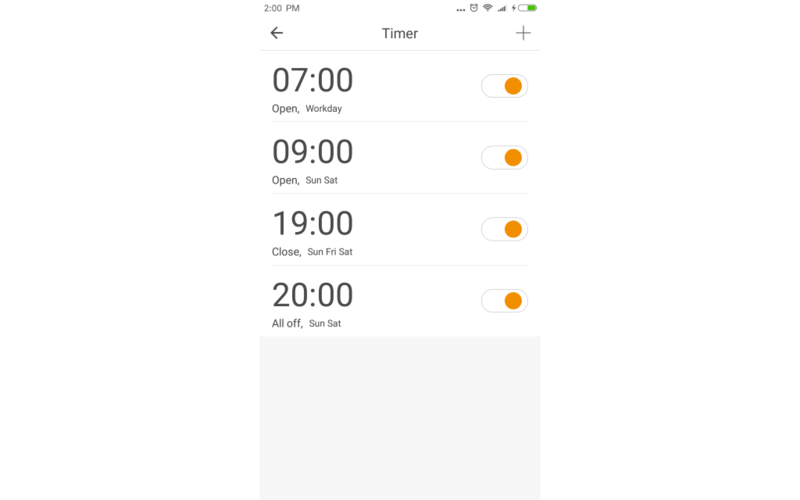 Adjust them whenever you please, or set a schedule in the app to automatically adjust them according to your day. 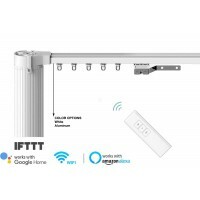 This smart motorized curtain track system also works with Amazon Alex, Echo. 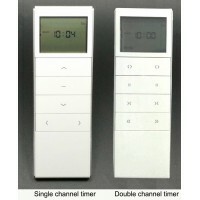 Timer (Optional. 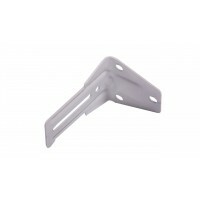 Can be bought separately from here). 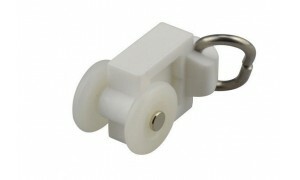 Product weight: Approximate 4.2-6 Kgs. 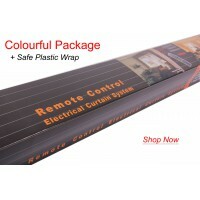 All items will be delivered by courier on the next business day. 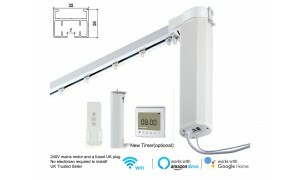 Normally you can receive your package in 1-2 working days in most of UK addresses. 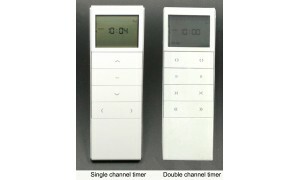 Any other inquiry, please contact with us. 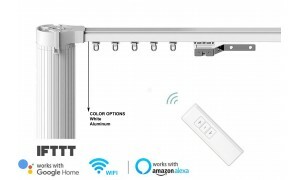 Also known as Belt Drive Motorized Curtain Tracks, Motorized Drape, Motorized Drapery, Remote Control Electric Curtain Tracks (Length can be customized by DIY cutting, require some DIY skill). 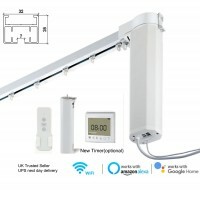 No electrician required to install!Supplied with a 110V - 240V mains motor fitted with a 2.5 me.. 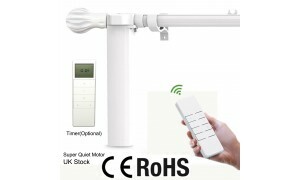 This 2-meter (78") electric curtain pole can cover windows up to 2 meters wide. 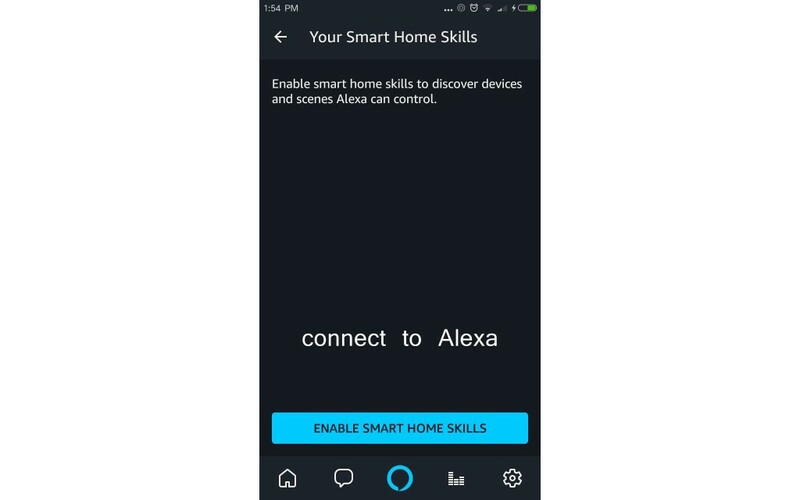 With easy installati.. 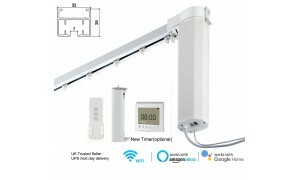 This 4-meter (157") electric curtain pole can cover windows up to 4 meters wide. 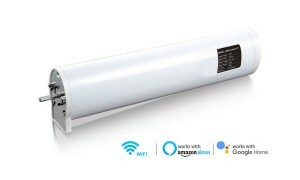 With easy installat.. 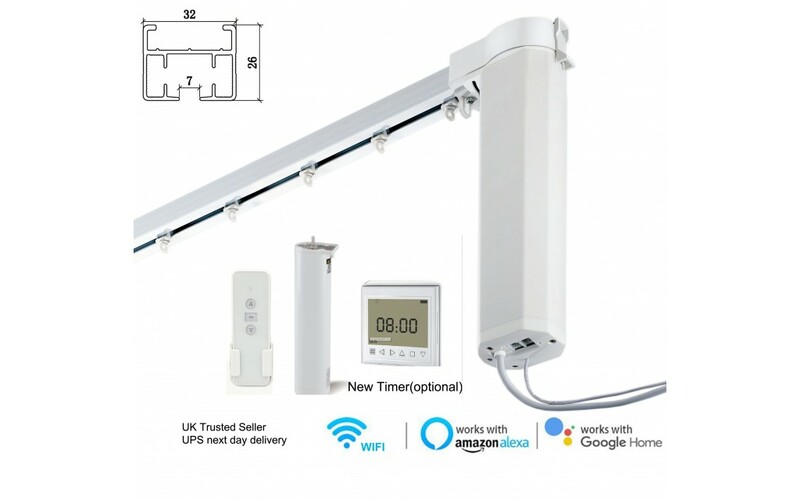 This 2.5-meter electric curtain pole can cover windows up to 2.5 meters wide. With easy installation..
Electric Blind Curtain track 7 day timer Features:Single Gang size wall mounted LCD control Pan..
Additional 135 degree Bend for Motorized Curtain Tracks (HT100B), Bay Window, L-shape Wind..
Smart Wifi Electric Motors for Electric Curtain Systems (HT100B) 240V AC Smart Wifi Motors to dri..
L-shaped Wall Bracket for all HT100B series motorized curtains This wall bracket may be exclud..
Additional 90 degree Bend for Motorized Curtain Tracks (HT100B), Bay Window, L-shape Windo.. 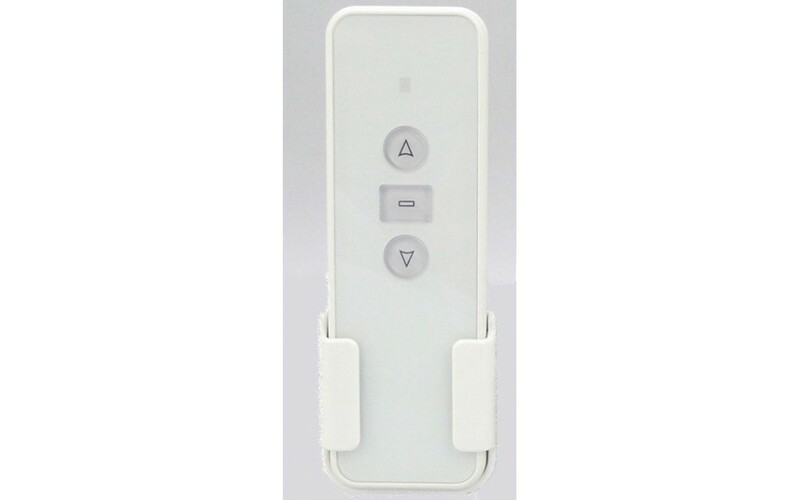 This remote works for our smart curtain tracks (HT100B series), which has smart wifi module and can .. 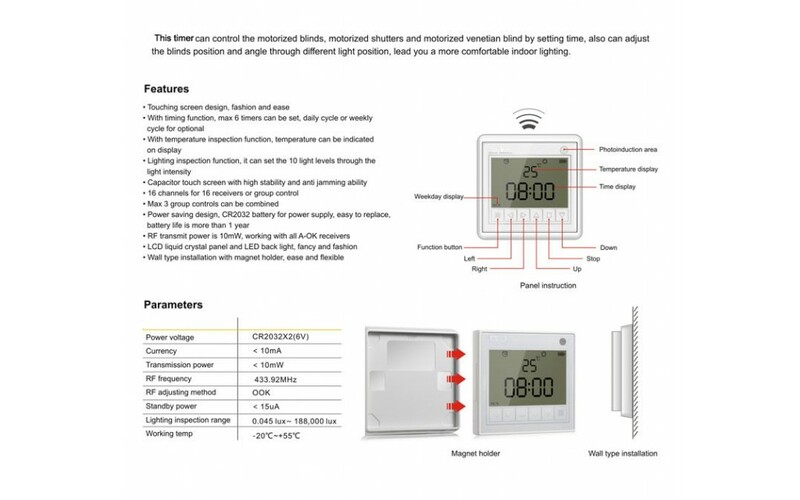 Wired Wall Switch for Smart Curtain trackFeatures:Single Gang size wall mounted control Panel.Ideal ..
No electrician required to install!Supplied with a 110V - 240V mains motor fitted with a 1.8 me..
No electrician required to install!Supplied with a 110V - 240V mains motor fitted with a ..